This scene <3 and it's just the menu! Obs. : The quality is drastically reduced here, the pictures are even better! I'm a fan of racing games, though since I've been on the Sony side rather than Microsoft, my go-to is Gran Turismo. I still have my old racing wheel set (Fanatec GT3-RS Club Sport), though it's for PS3 and PC, not PS4. 132763 Branmuffin17 I'm a fan of racing games, though since I've been on the Sony side rather than Microsoft, my go-to is Gran Turismo. I still have my old racing wheel set (Fanatec GT3-RS Club Sport), though it's for PS3 and PC, not PS4. I used to like GT, my favorite racing game until I buy an Xbox 360. I really didn't like GT5, 6 and Sport, plus I loved Forza mainly the Horizon series. This game is something new, there aren't any game similar on the market. Plus this game is so relaxing. I stress myself with brainless teammates on smite then I relax with this game. If you buy someday an Xbox, Forza is a "must buy" game. 132790 xmysterionz I used to like GT, my favorite racing game until I buy an Xbox 360. I really didn't like GT5, 6 and Sport, plus I loved Forza mainly the Horizon series. This game is something new, there aren't any game similar on the market. Plus this game is so relaxing. I stress myself with brainless teammates on smite then I relax with this game. If you buy someday an Xbox, Forza is a "must buy" game. Since I've never looked into a Forza game, can you describe the main differences between the Gran Turismo series and that? 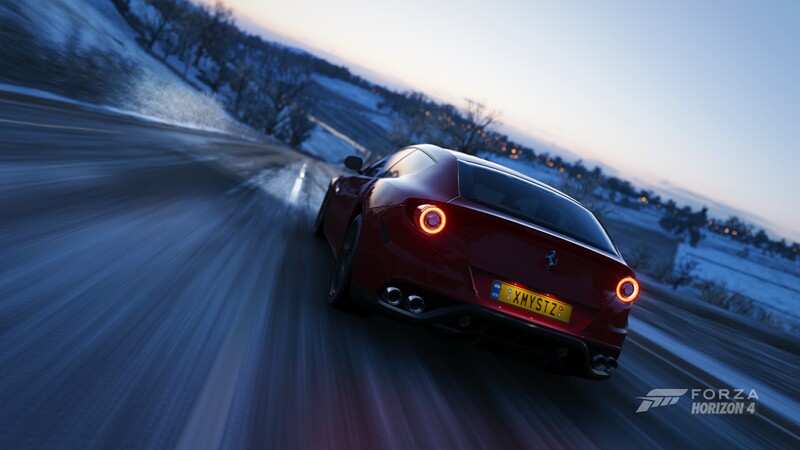 132791 Branmuffin17 Since I've never looked into a Forza game, can you describe the main differences between the Gran Turismo series and that? First of all, you need to know that there are 2 Forza Games: Motorsport and Horizon. Motorsport is a Simcade racing game (such as GT), more realistic, real championships and real places to drive such as Le Mans, while Horizon is inspired in a non-real car festival that happens each year in a country and is totally arcade (but has some sim points). GT is more the race. Although there are other things to read, know and even do, the focus is the race, while Forza is more more "wide". Until the new console generation, Forza was the GT of xbox and nothing else or less, but with Motorsport 5 they started to make a more complete game, going into details in some real championships, using AI on the bots in single player to memorized how the player drive and then try to put the "Player AI" in other games (famous "Drivatar"), and a lot of things more "human" but without remove the focus of the cars. However due the trash single player mode Motorsport 5 has, it is the worst motorsport ever (but stills good to play, it is just the worst compared with other Motorsports), since you are too free and has almost no objective to do (you just buy the car and start racing, then buy another...and if you want and have money you can start with F1 for example or Le Mans Prototypes) you don't feel that you are having some progress. But in Motorsport 6 and ahead this mistake was corrected and the game now is the GT but with more cars and a complete single player mode. If you change, for example, your PS4 in an Xbox One you won't miss GT in anything due Forza Motorsport. Here is where the difference is H-U-G-E. Forza Horizon is an Open World racing game and is totally arcade. Although it's an arcade game it DOES NOT seem to be false like Need for Speed or The Crew does. It's a complete different gameplay. When I played it for the first time on Xbox 360 in the first Forza Horizon, I totally fell in love with the game. 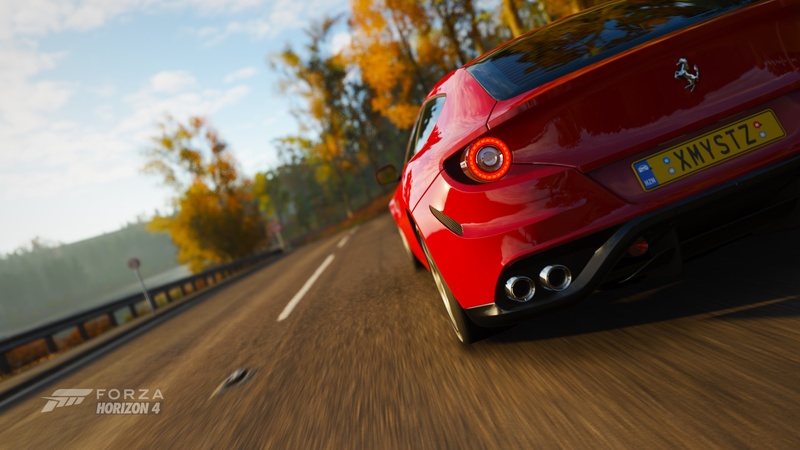 This game creates an atmosphere that is very relaxing, 'cause you can get your favorite car, put your favorite tune in the radio, and then, just driving around the beautiful world this game provides, feeling as good as drive in the same conditions in real life. Horizon is something I can't explain well, I can just feel. The game has a easy gameplay but you can turn off assist and increase drivatars difficult to make a challenge for your skill level. I can easily say that horizon is a unique experience and you CAN'T find it in any other game. It's just awesome. Even people that don't like racing game like horizon somehow. I think Horizon would be more my style, based on your descriptions. I did enjoy The Crew, as well as Burnout Paradise, and even just enjoy driving around in GTA. Like I said, my main racing game (since the original on PS) was Gran Turismo...but I appreciate all kinds. 132793 Branmuffin17 I think Horizon would be more my style, based on your descriptions. I did enjoy The Crew, as well as Burnout Paradise, and even just enjoy driving around in GTA. Like I said, my main racing game (since the original on PS) was Gran Turismo...but I appreciate all kinds. Burnout Paradise is cool, I liked too, but The Crew was awful, that physics made me stop playing that game after 1 hour. 132794 xmysterionz Burnout Paradise is cool, I liked too, but The Crew was awful, that physics made me stop playing that game after 1 hour.